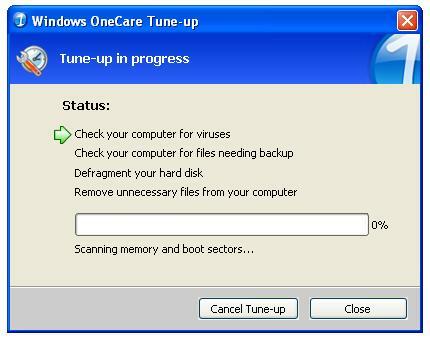 OneCare is really a program that Windows has needed for quite some time. In addition to scanning for viruses, malware, and spyware, it also performs system tune-ups and routine backups. 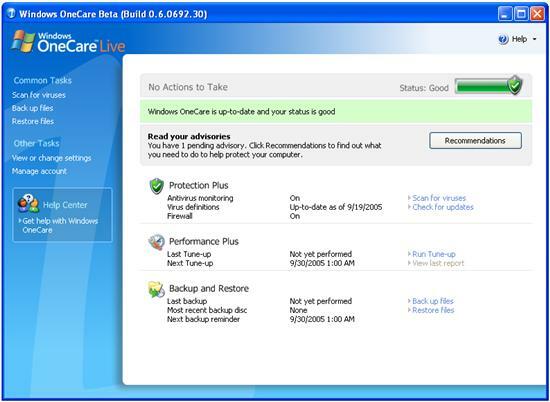 OneCare updates itself automatically, similar to Windows XP SP2 with automatic updates turned on. You can also manually click on Check for updates to force an update. 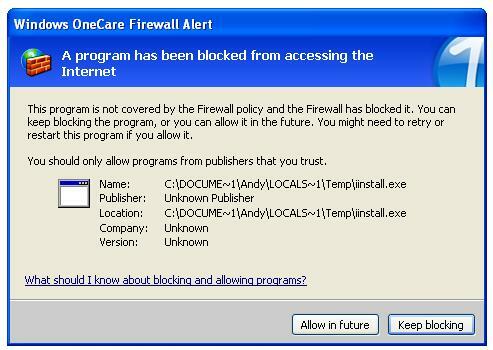 As you would expect, Windows OneCare lives in the system tray most of the time, like most anti-virus programs. 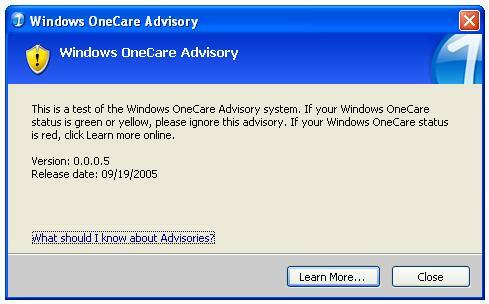 OneCare will occasionally issue “advisory” messages sent from Microsoft alerting you to new possible security threats, changes in the software, etc. (hence the “Live” in Windows OneCare Live). This is an interesting idea and creates an active method for user security awareness, rather than a passive one – such as reading about new viruses in the news. Another innovative feature in OneCare is the tune-up feature. Most Windows security software automatically schedules full-system scans. Microsoft took this process a step further by incorporating other tasks into the full-system scan, including an automatic disk defragment, a cleanup of temporary files, and a cursory scan for files needing to be backed up. Best of all, this is all done automatically by default so no user interaction is required – either to set up or run the tune-ups, as they are scheduled automatically. OneCare will then walk you through automatically burning a CD or DVD backup image which can then be restored onto any other computer running OneCare.